06:01 | ¿Is not your local time? Change it!06:01 | ¿Not your time? 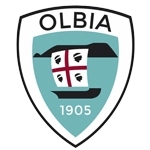 Teams › Italy › Olbia Calcio 1905 S.r.l.